Add some cheer to your autumn table with these lovely sunflowers! The patchwork design of this heartwarming pattern gives it a down-home, country feel that is perfect for displaying year-round. 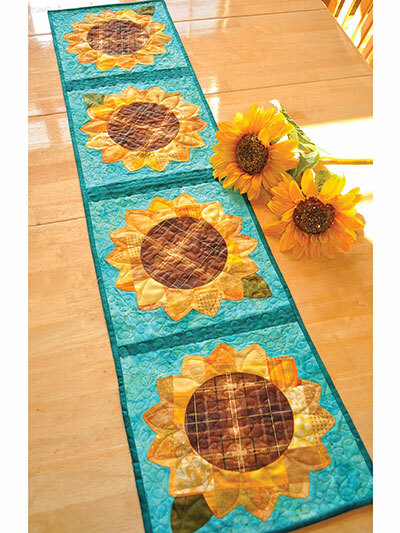 Use scraps or coordinating yardage and some simple applique, and you'll have a great table runner for your kitchen or a lovely house-warming present for a neighbor. 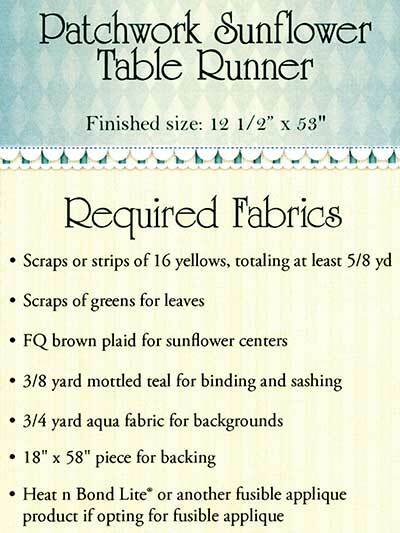 Pattern from Shabby Fabrics. Finished runner size is 12 1/2" x 53".